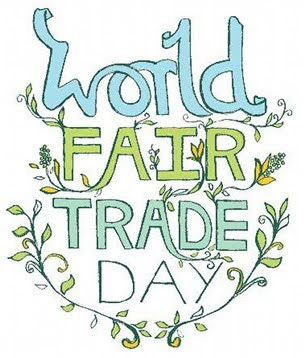 Fair Trade Certified: World Fair Trade Day Celebration. World Fair Trade Day Celebration. Apikri celebrated World Fair Trade Day last May 29, 2011 collectively with members of Yogyakarta Fair Trade Movement and members of conversation Fair Trade Indonesia. This event took place at Taman Pinter Yogyakarta and was arranged by Forum Fair Trade Indonesia. Mr. Amir Panzuri, Apikri Director, acted as chairman of the group for World Fair Trade Day and assist by other workers from other Fair Trade organization in Yogyakarta: Novi from Java Ixora, Imam from Sahani, Ridwan from KKB DIY, and Wulan from Dria Kananga. It was attend by Forum Fair Trade Indonesia and the members like Mitra Bali, Lombok Poetry, Arum Dalu, JPKP Buton, the local government and NGO’s of Yogyakarta. The first was a fun motorcycle ride joined by 150 people from the bike group of people of Yogyakarta. The participant took a ride about Yogyakarta city with the on track and ended at Taman Pinter Prizes were specified for the lucky participants of the fun bike ride. 2nd, a Fair Trade Bazaar of crafts, food and toys was also held at Taman Pintar. The third activity was press meeting attended by media journalist and television stations. Mr Aging & Mr. Amir spoke about fair trade. The episode was enlivened with customary music and the show of children from IRRCD Kindergarten of Yogyakarta. The end, the participants of World Fair Trade Day came together to close the event, with Mr. Amir giving thanks to all participants as well as Forum Fair Trade Indonesia, members, Yogyakarta Fair Trade group, and other NGO’s who support the event.